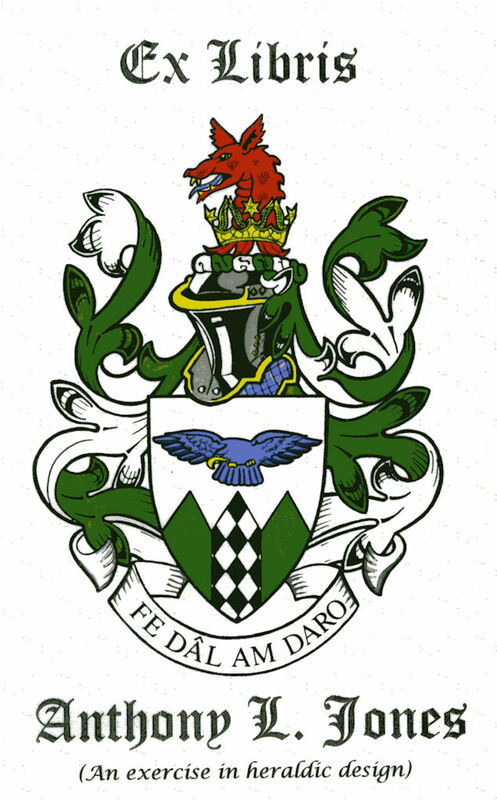 The heraldic artist and author of Heraldry in Glamorgan makes it clear that these are the arms he would ask for, were he to apply for a grant. We include them here as a tribute to his art. Blazon: Per fess dancetty Argent and Vert in chief an eagle volant head downwards to the sinister Azure in base a pale couped lozengy Argent and Sable. Crest: Out of an astral crown Or a dragon's head erased Gules.